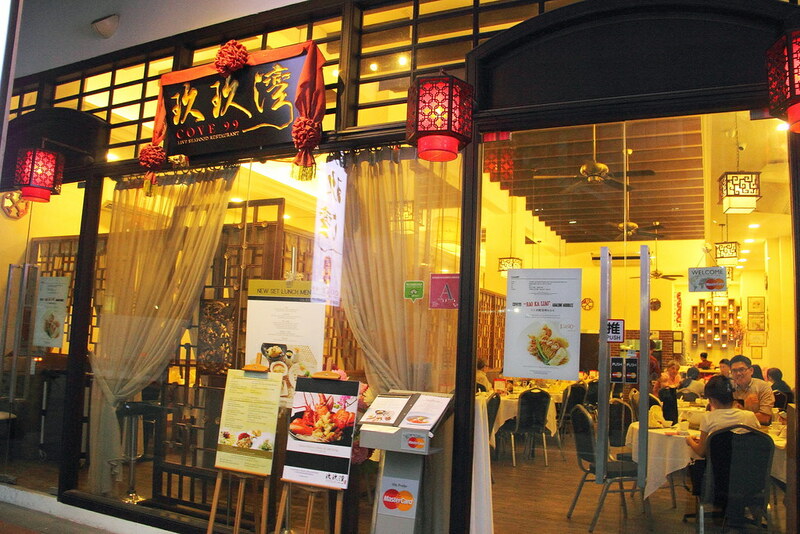 Cove99 Live Seafood Restaurant is an intimate 120-seater Chinese restaurant nestled along a row of shophouses at Peck Seah Street. You may not be familiar with this name yet as it is opened only last year 2014. 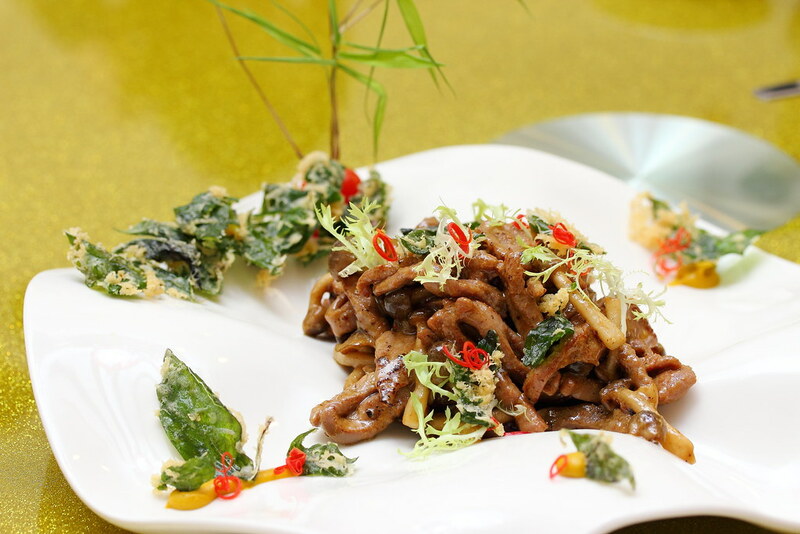 Helmed by executive chef Pang Seng Hai whom has more than 20 years of culinary experience. Prior to heading the kitchen at Cove99, Chef Pang was Executive Chef at Chin Huat Live Seafood Restaurant and held many positions with Tung Lok, Legend Fort Canning and Jade Fullerton. 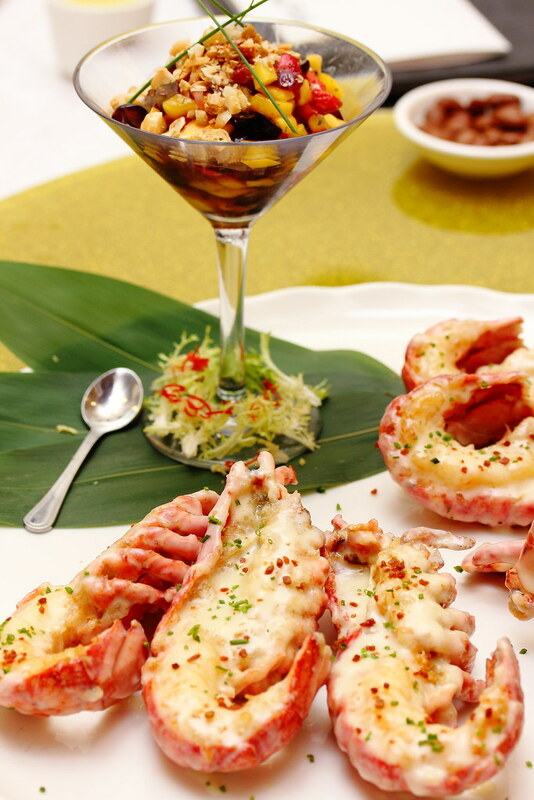 For the upcoming Fathers' Day, Cove99 has specially designed a menu for this occasion. This brought us here tonight, for a taste of a few of their signature as well as new dishes. Nothing beats a good bowl of nutritious soup to start off a dinner. The smell of ginseng permeated the air as the staff brought over our Double-boiled Shark’s Fin and Abalone in Fresh Ginseng Chicken Broth. From the smell alone I can imagine the all flavour and nutrition sealed in this pot of wholesome goodness. It did taste as good as I have imagined it to be. The Stir-fried Venison with Hon-Shimeiji Mushroom in Yellow Mustard Sauce is highly recommended or at least i think my dad will like this dish. It was slightly charred on the surface with an extremely tender core. I thought that the yellow mustard sauce complement the meat well, adding a bit of sharpness to the overall taste. Braised Whole Fish Maw with Sliced Black Truffles and Seasonal Vegetable in Superior Broth. This indeed is an luxurious dish. It is my first time being served an entire fish maw. 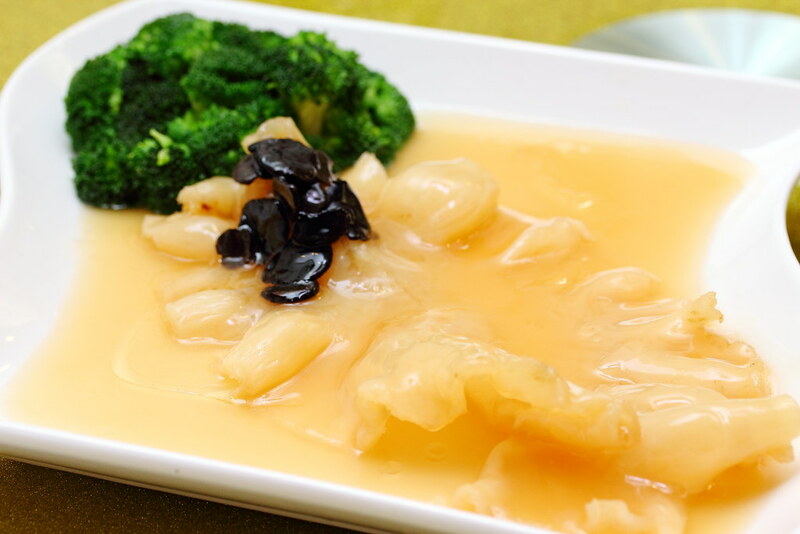 In Chinese, cooking fish maw may be considered a rare ingredient. Similar to other luxurious ingredients such as shark fins, it is often appreciated for its scarcity, novelty, nutrients or value, rather than taste. Its subtly in taste may lead to some heavy seasoning but fortunately, Chef Pang has adopted a simple treatment instead to preserve that natural flavour. 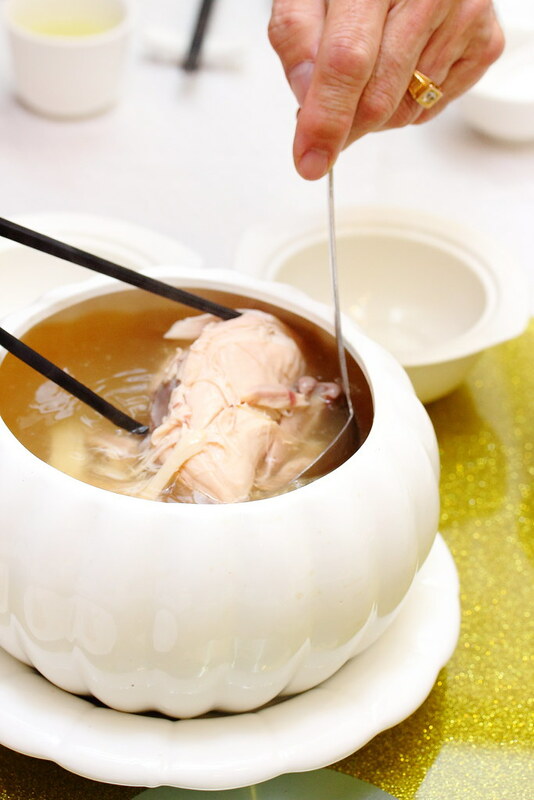 I find the broth quite compatible for its taste and I enjoyed its firm texture pretty much. Their Braised Boston Lobster is one of my favourite tonight. The lobster was coated with the right amount of Creamy White Wine Sauce. I'm not too sure how the lobster was being braised but I find it quite well done as the meat remained firm, as I have tasted mushy texture before. The white wine sauce is of the right viscosity. It wasn't too creamy, nor too heavy which might have otherwise stolen the sweetness of the meat. 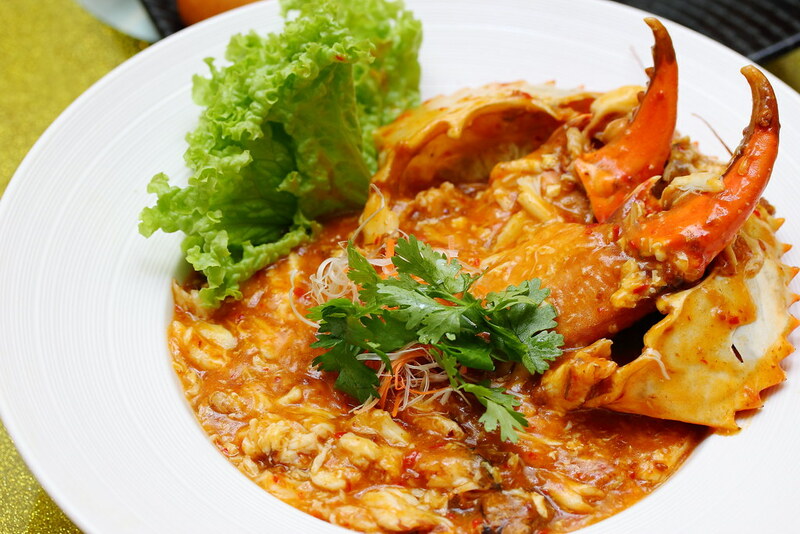 I believe you may be extremely keen to try their De-shelled Chilli Crab with Deep-fried Mantou. They may be the only one serving it de-shelled. 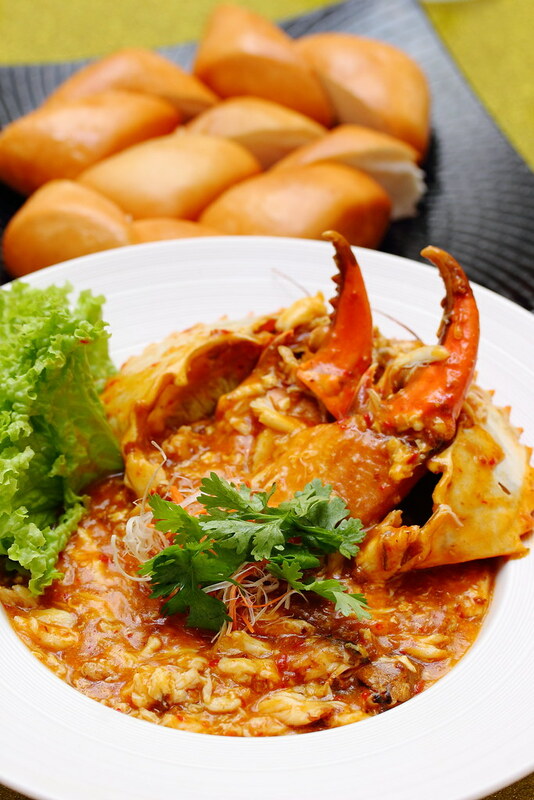 Some of you may think that having it de-shelled reduce the shiok-ness of eating chilli crab but you may change your mind after trying it out. What I appreciate about this dish is that the portion of meat and gravy is quite well balanced. every scoop of the mixture gives you a decent serving of the crab meat. Some of you may like the fluffy mantou, though I much prefer an airier one. Our last main was Stewed Rice Vermicelli and Glass Noodles with Seafood and Bitter Gourd. 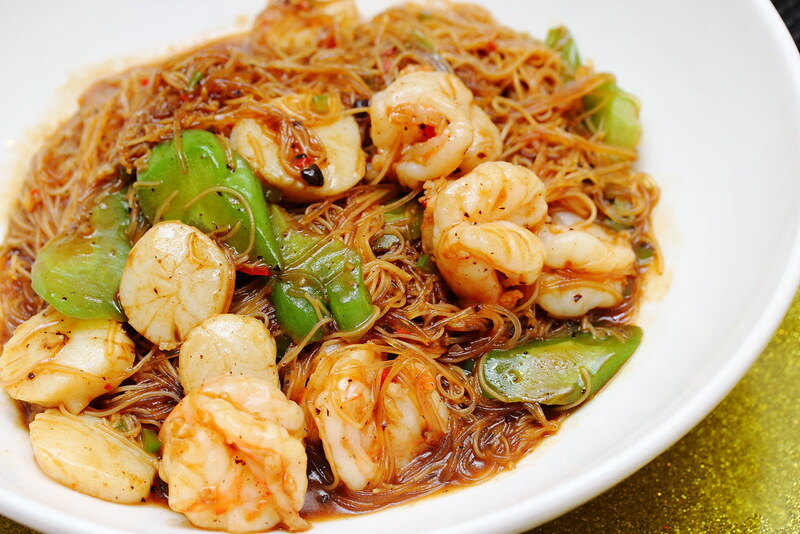 I really get the best of both worlds - the firmness of the rice vermicelli and the springiness of the glass noodles. This combination works well for me. They have soaked up the flavour from the stew, and accompanied with a good portion of seafood and bitter gourd. I thought I had detected the wok hei faintly which to me is a plus. 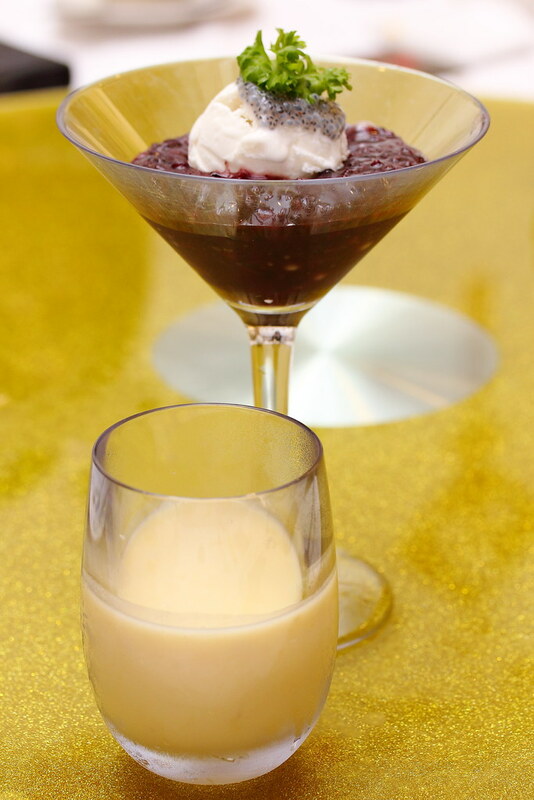 After all the great dishes, I looked forward to the closing, Homemade Premium Durian Pudding. Sadly, the sweetness of it didn't work for me at all. It had been a luxurious evening for me, and I'm sure your dad will probably feel the same way too. Rather than patronising the few names in shopping malls, you may want to give this place a try.